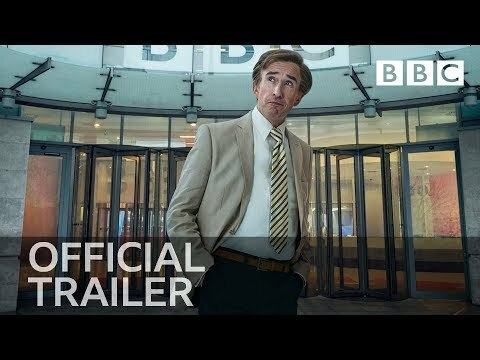 The BBC has released the first look trailer for This Time with Alan Partridge. In the new series Steve Coogan's alter-ego returns to the corporation to co-host an early evening magazine show. The trailer is the first 40 seconds of the first episode, as a dry-mouthed Partridge calls for some water just before the live programme goes to air. We also get a glimpse of Susannah Fielding, who plays his co-presenter Jennie Gresham. Tim Key is back as Partridge's sidekick, Simon Denton, and Felicity Montagu will return as Alan Partridge’s assistant Lyn. Coogan wrote the new series with Neil Gibbons and Rob Gibbons who also penned Mid Morning Matters, the film Alpha Papa and Alan Partridge’s autobiographies. Schedules have yet to be confirmed but the programme is coming to BBC One soon.